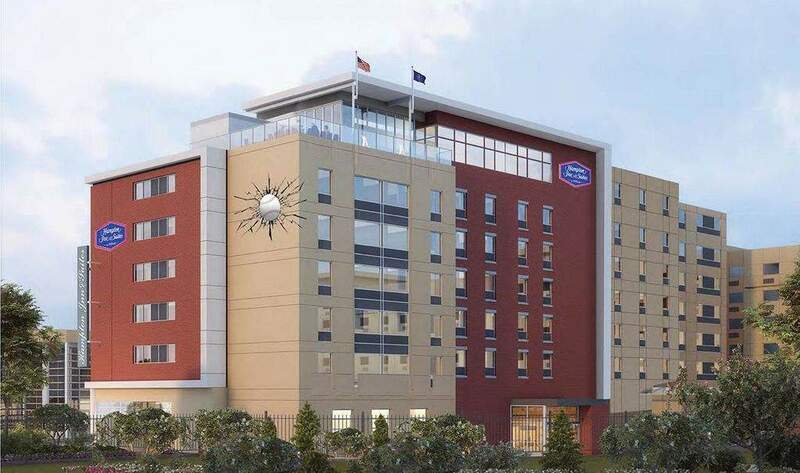 City officials said the hotel will offer all of the amenities expected by Hilton's upper-midscale brand. The hotel will also feature a walk up Burger Bar restaurant and an indoor/outdoor rooftop bar offering spectacular views of Parkview Field and downtown Fort Wayne. The hotel is scheduled to open in the summer of 2019. Over 25 percent of the hotel's 136 guestrooms will be oversized suites and at 226 West Jefferson Blvd. The Courtyard Fort Wayne Downtown next door was developed and is managed by White Lodging. It opened in 2010.